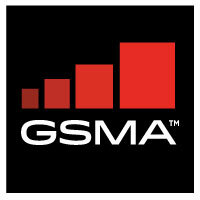 China is making significant moves towards widespread uptake of remote SIM provisioning and eSIM technology, with progress made by operators, vendors and manufacturers to drive use in smartwatches and the IoT sectors, a new GSMA Intelligence (GSMAi) report has found. GSMAi forecasts between 25 and 40 per cent of China’s smartphone connections will use eSIM technology by 2025, making China the world leader in the technology. China is expected to launch the service later than other leading markets, but GSMAi said it will catch-up in the medium term and eSIM will support a fifth of the world’s smartphones by 2025. To achieve this lofty target, a number of changes will be required and regulations altered. However, GSMAi noted authorities had already made “significant efforts” to set the framework for adoption of the technology for a number of other use cases. According to GSMAi, current uptake is low compared to its long-term potential, although automotive, logistics and utilities were noted as the top industry verticals for the technology.